Upgraded wheel retainers developed to stop wheels parting company with the car played a role in Jamie Whincup’s trouble on Saturday at the WD-40 Phillip Island SuperSprint. The Red Bull Holden Racing Team introduced revised wheel clips at last weekend’s Tyrepower Tasmania SuperSprint, after losing wheels at Bathurst in 2018 and Albert Park last month. They are designed to help avoid repeat instances, but according to team manager Mark Dutton, inadvertently contributed to the latest issue. 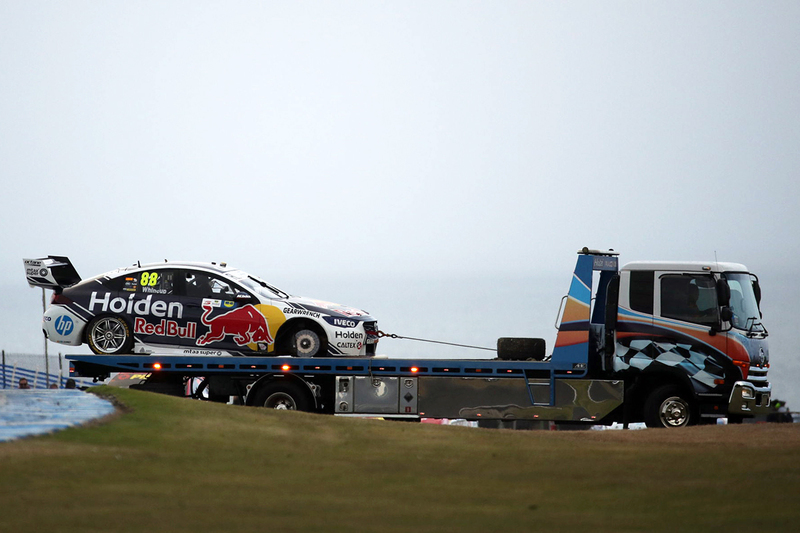 Whincup’s right-front wheel came off during the outlap from his pitstop, spelling the end of his race and netting a penalty of 30 teams’ points and a $3,000 fine. Following the team’s post-race debrief, Dutton confirmed the spike operator had released the car before the right-front wheel had been done up. “The spike man released the car too early unfortunately,” explained Dutton. “The guy who is usually the fastest is on the right front, Kris Goos. Because the wheel nut was a bit over-tight [it was slow to come off]. “The funniest thing is we have got new retainers on which we ran at Tassie and they work better. “So what happens there is sometimes the nut creeps and when it goes against the retainers, it gets a little bit tight. “It only took an extra half-second, if that, for Kris to loosen off the nut, but the spike man made a mistake there [in releasing the car before the change was complete]. “[Goos] didn’t press the light [indicating to the spike man via a light on the pit boom that the wheel change has been completed] accidentally or anything like that. 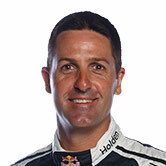 As he exited pitlane, Whincup was warned by engineer David Cauchi that the right-front was not tight and told to be careful. The wheel nut then fell out at the exit of Turn 2 and, two corners later, Cauchi instructed Whincup to stop the Commodore. Whincup continued through Turn 5, where the right-front parted company, before parking on the inside at the entry to Turn 6. 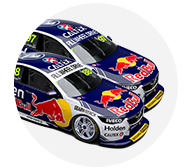 Team principal Roland Dane had made the decision for Whincup to stop, which Dutton said was about “trying to minimise any damage. “Usually when there is an issue you don’t stop unless it’s the engine, you keep going and try and skull drag the car back and try and get it out again. The incident marked the continuation of a horror weekend for Whincup, who was 23rd, 11th and fifth across the three practice sessions, before qualifying 17th. He had gone deeper into the race than the bulk of his rivals before making his stop, emerging from the pits behind Anton De Pasquale, who eventually finished 12th.